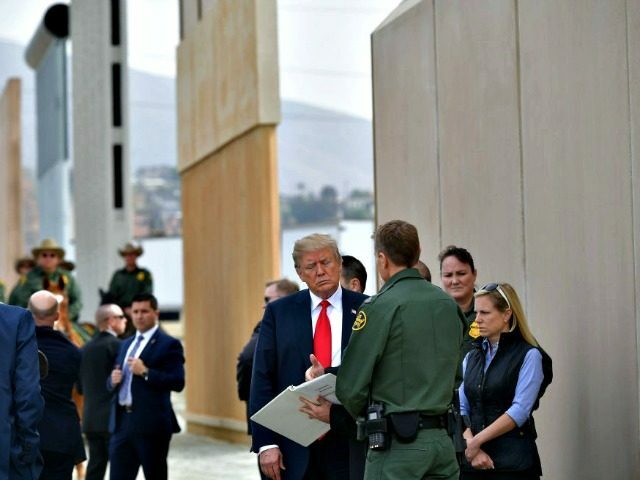 President Donald Trump again signaled his support for the wall Monday, after threatening to shut down the government if Congress failed to deliver construction funding. On Sunday, the president said he would be willing to shut down the government if Democrats failed to support his immigration reform and border security agenda. “I would be willing to ‘shut down’ government if the Democrats do not give us the votes for Border Security, which includes the Wall!” he wrote. Congress faces a September 30 deadline to fund the federal government. Trump continues to highlight tough immigration policies as members of Congress face their midterm elections in November. He criticized House Democrats on Sunday for failing to support Immigration and Customs Enforcement (ICE) agents in a congressional vote to ban their department.